An EpiPen® is a life-saving device used to help patients suffering from an Anaphylactic reaction. The device contains an auto-injecting syringe of the drug Epinephrine / Adrenaline which is administered into the outer thigh. The device can be used by the patient or passers-by. EpiPens are easy to use and clear instructions are printed on the packaging and the device. However, it is still possible to make mistakes when using an Epinephrine Auto-injector. Can you spot any mistakes in the photo below? 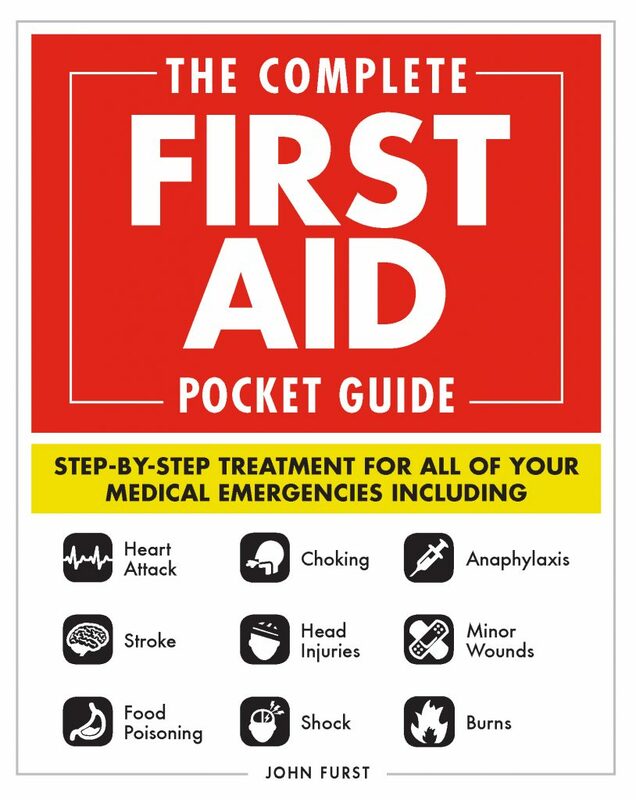 Unfortunately, first aid stock photos often contain serious errors. This photo is no exception. An EpiPen® should never be held with your thumb over either end. In the heat of a stressful emergency situation, it is possible to mix-up holding the EpiPen® and accidentally inject yourself into your thumb. This could cause significant damage to your thumb due to constriction of blood vessels. 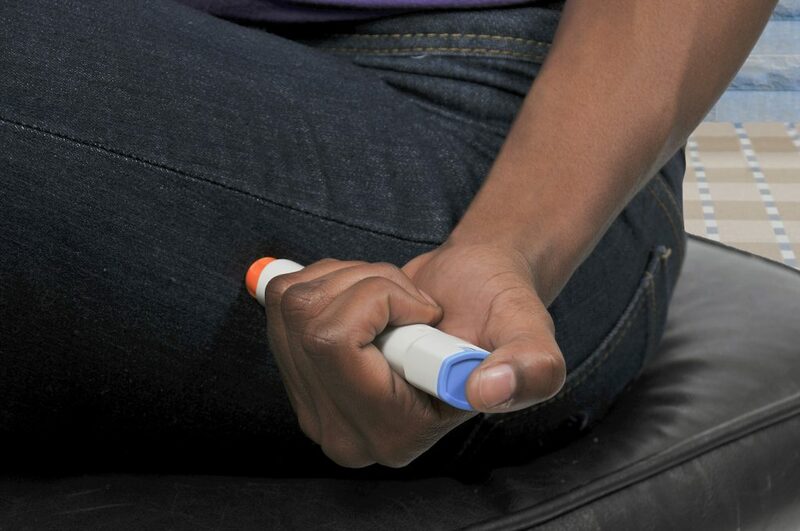 Always hold an EpiPen® without placing your thumb over either end – this is much safer and will prevent an accidental administration into the thumb! In this photo, the blue safety cap has not been removed. The EpiPen® will not work without the blue safety cap being removed. This is safety feature designed to prevent the EpiPen device being set off accidentally. Blue to the sky. Orange to the thigh. Do you want to learn more about Anaphylaxis and the different types of Epinephrine auto-injectors available? Sign up to our free online anaphylaxis awareness training course. JOHN FURST is an experienced emergency medical technician and qualified first aid and CPR instructor. John is passionate about first aid and believes everyone should have the skills and confidence to take action in an emergency situation. What is the best online CPR and First Aid certification?